Posted on March 25, 2019 April 19, 2019 . Easter Egg Hunt starts at 11:00 a.m. SHARP. 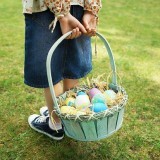 3) 5 yrs and up— line up in Tyler parking lot and at 11:00 cross the road to egg hunt on lawn by Church . Bring the family, baskets and get ready to take pictures on Saturday, April 20 starting at 10:00 am. There will be a small animal petting zoo, a craft table and free raffle tickets to give each child a chance to win one of the many Easter Baskets provided by The Town of Foster Recreation Committee. Easter Egg Hunt begins at 11:00 a.m. SHARP so we suggest you arrive by 10:30 a.m. to find parking. This annual event is sponsored by The Libraries of Foster, The Town of Foster Recreation Committee and The Moosup Valley Grange.